A nice garden that the whole family can enjoy can be the difference between a house and a home. Sometimes it can seem like style and kid-friendliness are incompatible but that is not always the case! Here are some tips on making most out of the garden; for you and your children. A 2014 literature review from Children, Youth and Environments found that spending time in nature promotes healthy development, well-being, and positive environmental attitudes. Your garden is the simplest and often the safest way for your child to connect with nature, and what better excuse to get your child involved in gardening? 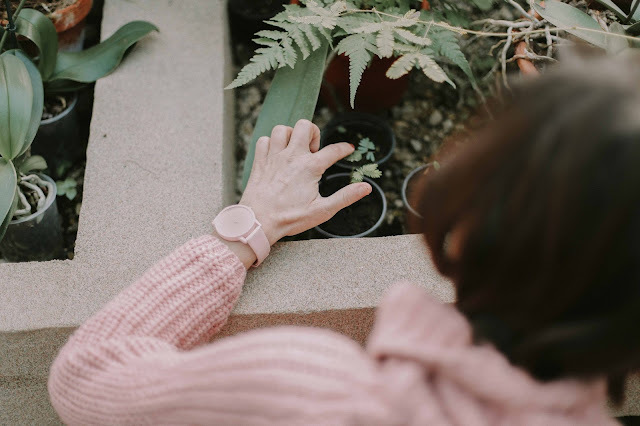 Choosing plants to grow, planting them and tending to them can be a fun activity you can do as a family. Gardening is a great form of light exercise for children thanks to activities such as digging, pushing a wheelbarrow or carrying a watering can - especially useful if your child dislikes conventional sports. Seeing the beautiful flowers and eating tasty veg you planted together is a wonderful reward for both kids and moms. Follow these guidelines from the Centers for Disease Control and Prevention to keep your children safe while gardening. You want a show garden with immaculate design, your child wants a play area where they can get messy. Sometimes these things are incompatible no matter how hard you try so try thinking of the garden in terms of ‘zones.’ Have a child zone where your child can play freely, express their creativity and you don’t worry about appearances too much. Perhaps put this zone near the window so you can supervise them while and keep them safe while playing outdoors. Have a ‘grown ups zone’ where you implement your design skills and explain to your children they can only play here when mommy and daddy are watching. This will have the added benefit of practicing respecting boundaries. Whilst you might want to wait until your children are older to add certain features, such as ponds, to your garden for safety reasons, you can usually find child-friendly alternatives. A well designed outdoor wall fountain, for example, is safer than a pond. Wendy houses themselves can be charmingly designed and add things to the decor as well as being fun for the kids. Birdhouses are adorable to look at and have the added advantage of teaching your child about animals, and statues can be admired by kids and grownups alike (make sure they are in no danger of toppling over). As you can see the benefits of time in the garden are huge for your kids. Having young children doesn’t mean the death of your design ambitions either. Best of luck enjoying your garden with your family.